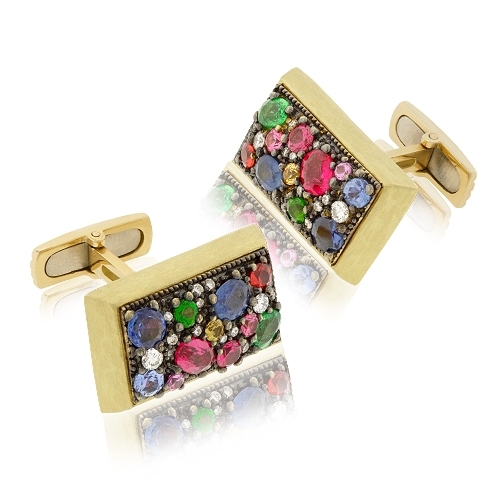 Deep colored fancy shaped sapphires set in a cluster with white diamond accents set in 18k brushed yellow gold. Diamonds approx. .42ct.